The Democrats prefer pork to buy house votes over security, so they’ve cut funding in 2008 for the European Missile Defense program as I predicted last year. Putin is very pleased with his friends in the Democratic party, as are the leaders of Iran. Update: More details at MDAA. “If successful, these agreements would enable us to improve the security of the United States and our allies by giving us the capability to defend against the real and growing missile threat from the Middle East,” said the US assistant secretary of state for international security and nonproliferation, John Rood. The House strategic forces panel on Wednesday cut 160 million dollars from the administration’s 310 million dollar request for the missile program in fiscal 2008, which starts October 1. 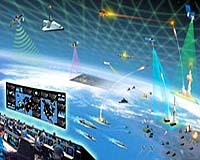 The Bush administration has proposed fielding 10 ground based interceptors in Poland and a radar in the Czech Republic. But Democratic lawmakers said Thursday that they were concerned over Washington’s rush to put in place an “unproven” ballistic missile defense system amid opposition from an increasingly belicose Russia. Robert Wexler, chairman of the House subcommittee on Europe, raised “political, economic and security concerns” over the system. The sad game ofÂ deathÂ by a thousand cuts to military and strategic programs has started. This is exactly what you voted for America:Â a weaker world in the face of aggression and a placid, complacent America awaitingÂ the next deathblow to our civilians. It’s gotta be me! The Iranians love the Dems. The Syrians love the Dems. Al Qaeda loves the Dems. Hamas and Hezbollah love the Dems. And now Putin and the Russians love the Dems. It’s gotta be something wrong with me, right? I guess I’ll just stick with my lifelong goal – that only people I want to be “liked” by are my Fellow Americans in Arms and the Nation of Israel. Next PostNext Missing Mass of the Universe Found?